It may sound odd that I'm asking you guys for your opinion on this pedal since I own it. Perhaps I want to get an idea where it lives in the spectrum of distortion pedals. Pedal? I was refering to the James Brown rhythm sections book. How they create that feel, what to play and most important what to leave out. My bad, excuse me. I replied to a different thread than the one intended. The James Brown book arrived last night, and it's fantastic. Really exceeded my expectations. Highly recommended for students of the funk. RIP, Hoggles and Bassist4Eris like this. Got a nice Xmas bonus, decided to get this. RIP, Hoggles, Hardy and 3 others like this. Still waiting for this to arrive...… Will arrive after Xmas by the sounds of it. cant wait though. New for 449 euro. Could not resist. Hardy, Bassist4Eris, Hoggles and 1 other person like this. I think I will buy one again, is simply too good. How is the smaller one soundwise, anyone know? 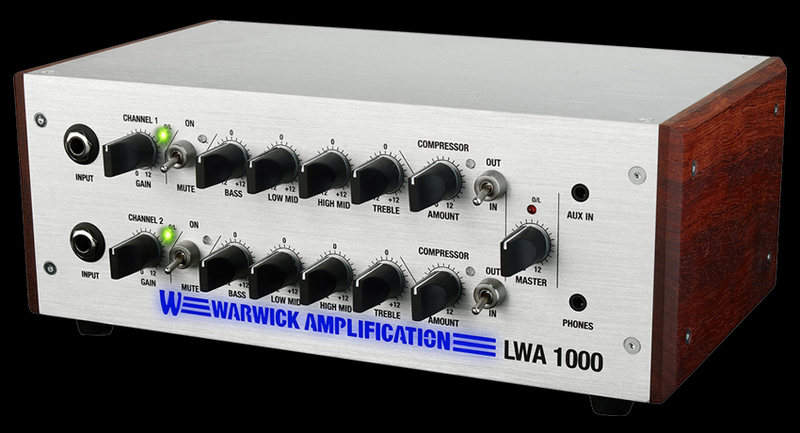 In the review from bassplayer mag, they said the knobs on the lwa500 feel cheapish. Besides that, for 100 euro more you have the (wooden sidepanels) lwa1000. The choice was fairly easy. Dual? Cool. A Ric's two pickups going through this would be a pretty cool setup. Otherwise, I'm not sure I see what the use of it is! Someone please enlighten me. Take any guitar overdrive and send it through one channel only, while cutting both bass and treble and maybe boost the higher mids a bit. Also, if you play multiple basses and one is fretless for instance, you can switch basses without having to unplug and have great tone on both. Or if you also play keys, you can amplify that through the same stack as your bass. Stainless and jester like this. LOL. The Strat came in this morning. Cardboard box and guitar both carry the same serial number and the model stated on the box says American Special Stratocaster HSS. (H stands for Humbucker). The guitar is a regular Strat, with three single coil pickups. And they are creamy white. So are the knobs. And I freaking love its cutting tone. She's a keeper! PaulS, Hoggles, Bassist4Eris and 1 other person like this. Not fair. Now I'm thinking of getting this head with the Billy Sheehan Overdrive Pedal.